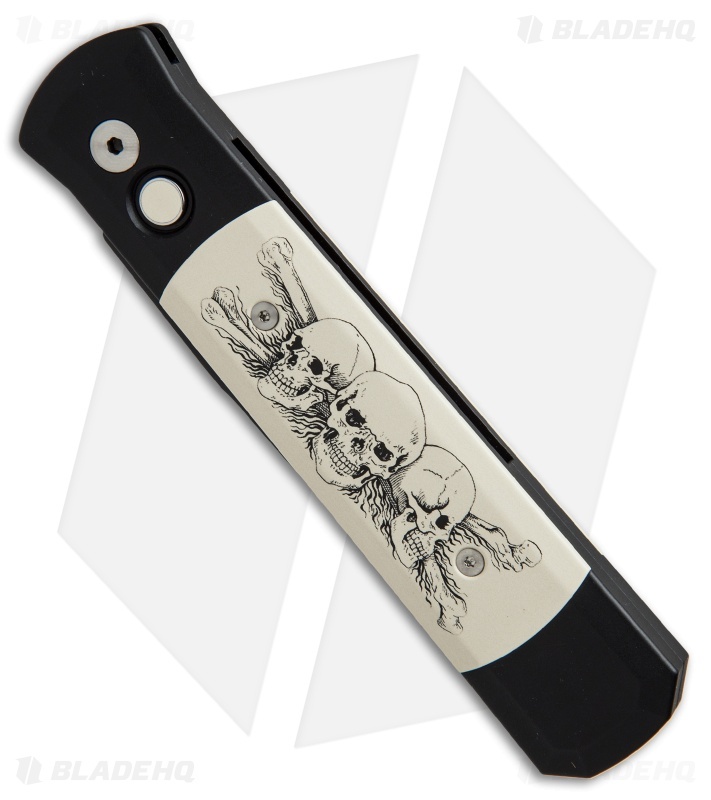 This custom run 931 Godfather knife features a Skull design by artist Linda Karst Stone. 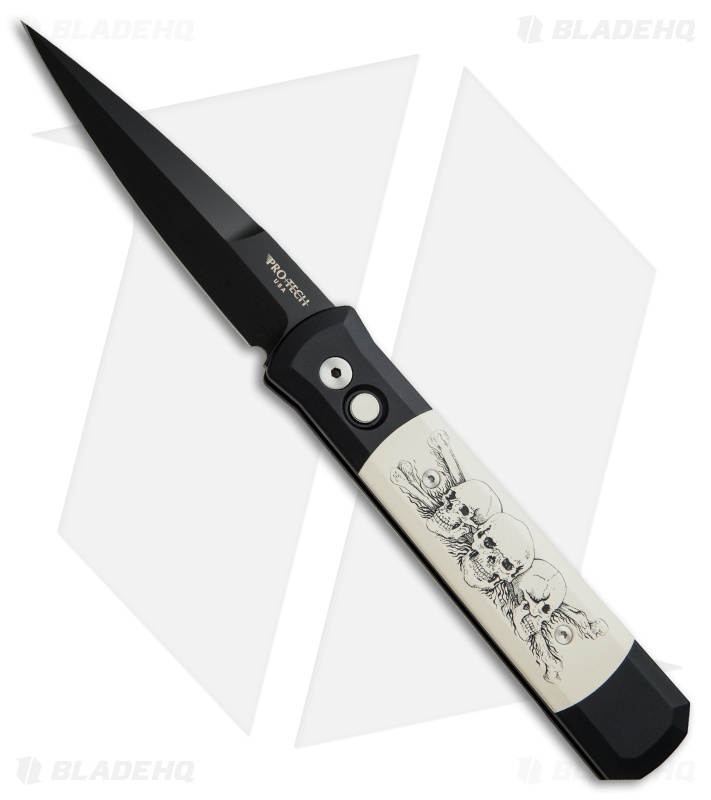 This Godfather exclusive has been recreated in "laser scrimshaw" on the front ivory Micarta inlay. The "Tuxedo" style handle features a black anodized aluminum frame with the Micarta scales and matching push button insert. 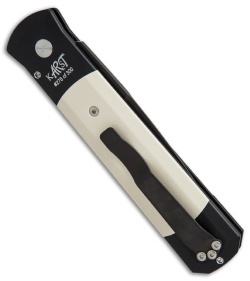 The hardware is satin finished and the tip-up carry pocket clip is black. The blade is black DLC finished 154-CM steel. This is a limited run of 300 numbered knives. The Godfather is offered in a wide range of materials and finishes. Click HERE to view all the Godfather knives we have in stock.